Managing the insurance claims in an optometric practice is challenging enough. While being familiar with ICD-10 codes is helpful for reporting, it might not be enough to get an insurance claim payer to reimburse you and your practice for the services you’ve administered. 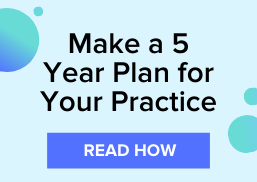 Other codes, like National Coverage Determination (NCD), Local Coverage Determination (LCD), and the Correct Coding Initiative (CCI), complicate your claims management process and cost your practice money. Unfortunately, all clearinghouse solutions aren’t created equal, and some don’t come with the tools required to quickly and effectively manage insurance claims. This post explains how a clearinghouse solution with advanced electronic claim scrubbing for NCD, LCD, and CCI checks can help increase the velocity of payment on your insurance claims. One of the big advantages of using a clearinghouse solution for your claims management is that the solution can scrub the claims to find errors or missing information before you submit the claim to the payer. This helps increase the amount of money you earn from claim reimbursements. Unfortunately, some clearinghouse solutions can take hours or even a day to fully scrub a claim. 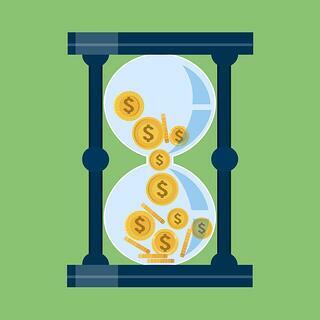 Your optometric billing manager has enough going on already, when a claim takes that long to get scrubbed, the odds of the biller going back and correcting the claim are slim because there are new claims that they will have to submit. With an advanced clearinghouse solution with NCD, LCD, and CCI claim scrubbing checks, you can get real-time updates on the claim health. Not sure what that means? You’re not alone. Today, you have to know what tests go together, as well as a slew of other codes to document a patient’s visit more precisely in order to get reimbursed. And unfortunately, if your clearinghouse doesn’t check for NCD, LCD, or CCI compliance before you send the claim to the payer, you may be left with a vague denial description like the one above. Using an advanced clearinghouse solution that offers real-time scrubbing for NCD, LCD, and CCI errors, you can gain instant visibility into why a claim was rejected. From there, your biller can take the explanation to you with options to identify a more specific and applicable diagnosis code to manage your insurance claims. With advanced claim scrubbing, your practice may receive more rejections, but rejections can be addressed and resubmitted more quickly than appealing a claim denial. For more tips on how you can successfully earn more money on your claim reimbursements, download this ebook.